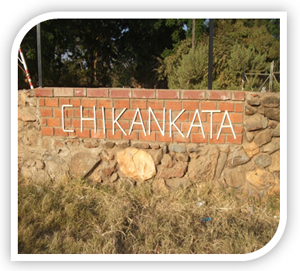 Most people around Chikankata speak English, are friendly and welcome visitors. The scenary and nature around Chikankata is wonderful. The Mabwetuba Hills surrounding the Mission offer endless opportunities for exercise and walking. We want to invite any mission groups, youth groups or church groups to come to Chikankata in Zambia and encounter the thrill of Africa and be part of life at Chikankata Mission for a few weeks. Chikankata is known to many people in The Salvation Army world and indeed beyond. It holds a special place in many hearts and all who visit are touched by its welcoming spirit and heart for God. We want people to experience this place, to enjoy it, learn from it and hopefully bring something that can be long lasting here within the Mission. We are grateful to all who support the work of the Mission and especially the hospital. The projects, equipment within the hospital and the service that the hospital offers relies heavily on overseas donors and their support and we are thankful for all those who have donated in the past and also to those who may donate in the future. As a way of thanks we would like to open up our Community Development Area for visitors to come and stay within Chikankata Mission, get involved in some of the local communities, experience the work within the Mission, be a part of the hospital, worship with us at the Salvation Army and enjoy seeing Zambia. Trips to the magnificent Victoria Falls and safari trips to see the beautiful animals of Africa can be organised within your time here. It is a trip that many may never have the opportunity to experience but we want to offer it to you. We can help to set a programme to suit the needs of your group the only thing you will have to organise is your flights. If you have specific skills you can bring to Chikankata we would love to hear from you or if you can help us to get equipment and supplies into our mission and hospital we would be grateful for your support.